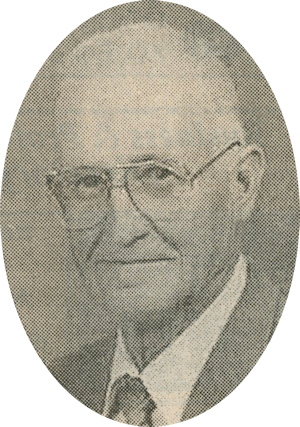 Obituary – Endres, Walter “Carl” « Perry High School Alumni Association, Inc.
– son of Mr. and Mrs. John Endres, was born August 16, 1917, in Perry, Oklahoma. He attended Perry Schools. His special interest is Electrical Engineering. Following graduation he expects to do general work. ﻿Walter “Carl” Endres, 84, formerly of Perry, OK died at 7:30 p.m. Sunday, February 17, 2002 at his home in Edmond, OK. 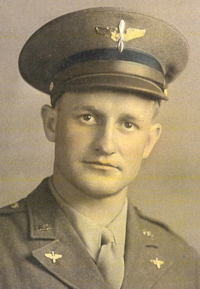 He was the son of John Carl and Edna Laura (Manville) Endres and was born at Perry on August 16, 1917. He was a 1936 graduate of Perry High School. On February 21, 1944, he and Anna “Janice” Kirtley were married in Las Vegas, Nevada. Mr. Endres retired in 1973 after 32 years of civil service employment as an industrial specialist at Tinker Air Force Base. He was a member of the Catholic Church and was a fourth degree Knights of Columbus member. Funeral will be at 10:30 a.m. Thursday, February 21, 2002 at St. Rose of Lima Catholic Church in Perry with Rev. Kevin Devlin officiating. Burial will be in St. Rose of Lima Catholic Cemetery under direction of Brown-Dugger Funeral Home. Memorials may be made to the charity of the donor’s choice. Survivors are his wife, Janice, four daughters, Ann Brutsche, Laura Basile and Rita Harris, all of Edmond, OK, and Mary Endres, Blakeslee, Pennsylvania; six grandsons, four granddaughters, one sister, Marie McFadyen, and one brother, Frank L. Endres, both of Oklahoma City, OK.
His parents, two infant sons and one sister preceded him in death.